Recovery-iOS.com values every customer and works hard to provide customers with an enjoyable experience using our products and services. It's because of this 'try-before-you-buy' system that we provides up to 30-day Money Back Guarantee. Refunds will be approved within this guarantee only under the accepted circumstances below. 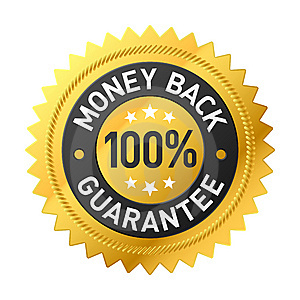 If a purchase should exceed the product's specified money-back-guarantee period, no refund will be given. • You changed your mind after placing a payment. • You requested for a refund for technical issues, but never asked for any assistance from our support team. • You failed to receive the registration code for the product, and didn't ask for assistance from our support team. • You requested for a refund but the order of the program has already exceeded 30 days. • You purchased the wrong version and then purchased the right one from us within 30 days. We can refund you for the wrong version. • The product has fatal technical problems that our technical support team can't fix. • You never received the registration code of the product, and got no response from our support team after reporting this to us. Once your refund is issued, please uninstall the software and remove it from your computer.